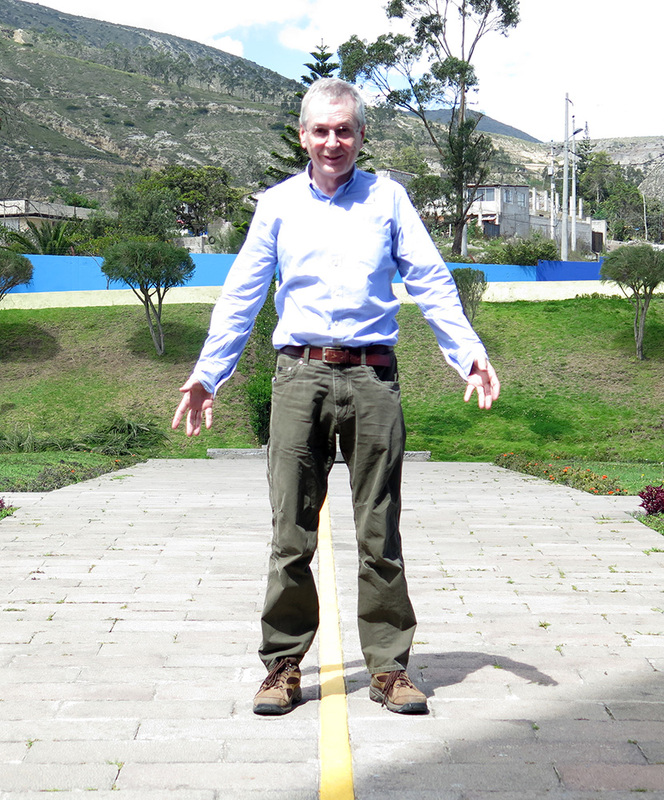 I’m at the little Museo Intinan on the equator, near Quito, Ecuador. Our guide is enthusiastically demonstrating exciting scientific facts about the Equator! She positions a basin on the Equator line, pours water in, pulls the plug, and we watch the water drop straight down without spinning. She moves the basin a few feet North, refills, and the water spins counter-clockwise as it drains out. Then again a few feet South of the line, more water, and now it drains out spinning clockwise. The audience is enthralled. The Coriolis Force at work! A scientific wonder! There are, alas, two tiny flaws in this charming demonstration. 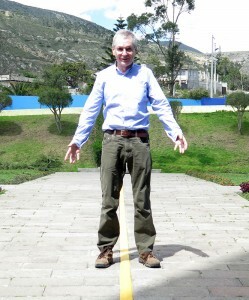 First, the “museum” is actually about 100 meters South of the true Equator, despite its brightly painted “Equator Line”. Second, the Coriolis Force does indeed influence spin, but only on the scale of oceans or hurricanes, not on the scale of water basins! So how does the “demonstration” work? I initially suspected a trick with the plug hole, or how the plug is removed. But no. 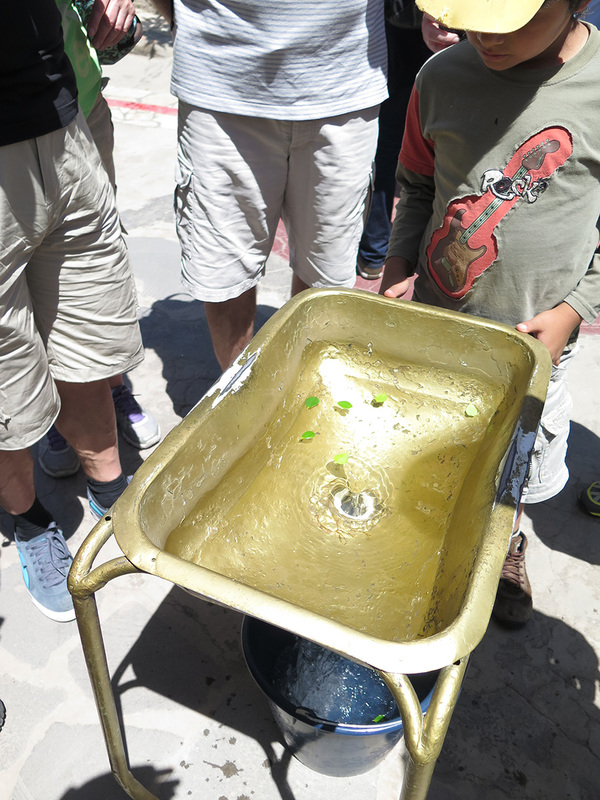 The trick appears to be in how the water is poured in. By choosing which corner to target, the guide can impart an almost imperceptible swirl to the water within the basin. The guide can also accentuate this while apparently fishing out floating leaves. As the water drains, the swirl is picked up and accentuated at the drain. It’s a fine trick and I congratulated the guides on how skillfully they executed it! There is also a demonstration of how it is easier to balance an egg on end at the Equator, because of the lack of Coriolis force. Hurrah! It’s all very silly, but taken as a harmless magic show, it’s quite fun. Nearby, is a much more serious, official, Equator park at Mitad del Mundo, with a commemorative tower and an official yellow Equator Line. But alas, although this is charming, it is even further South from the true equator! Using my pocket GPS I was able to navigate a few hundred meters North and cross the true Equator line, untarnished by any painted lines or markers.